Fans of the Alien franchise may have been wondering why a series of terrifying motion posters appearing on the anthology’s Instagram account last month, and now we know the reason: a new game, Alien: Blackout is on the way – but it’s not coming to consoles. 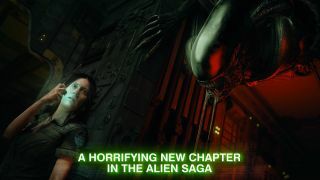 Instead, the game is a mobile title for iOS, and it follows protagonist Amanda Ripley (the daughter of the original film’s protagonist, Ellen Ripley). It carries on from 2014’s Alien: Isolation, and like its predecessor, the new game sees Amanda stuck aboard a Weyland-Yutani space station with a horrifying Xenomorph. The main difference between the new mobile game and its predecessor is that, instead of first person gameplay, the player takes on a far more voyeuristic role, using the space station’s surveillance system, motion sensors, and holographic map to watch over the crew and its alien invader. Developer D3 Go! says that:"Players must rely on the damaged controls of the space station or risk sacrificing crew members to avoid deadly contact, permanently altering the outcome of the game." Spying on the crew and making decisions that could alter their fate (in potentially horrifying ways), could prove even more gripping that the exciting first person adventure we saw in Alien: Isolation. So far, there is no word on an official release date or pricing for Alien: Blackout. So, whether you love the idea or hate it, you will probably have to wait a little while to find out if heading to mobile was a good move.